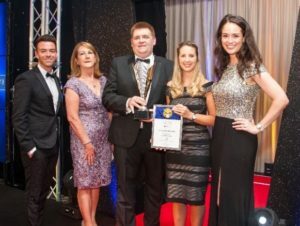 ESS Support Services Worldwide (ESS) was presented with the Healthier Scotland Award, sponsored by the Healthier Scotland Award at the 2018 CIS Excellence Awards in Glasgow last May. Recognising their efforts in well-being and nutrition offshore, this was the first time an offshore operator had been recognised by the CIS Awards Advisory Board for their achievements in healthier living. 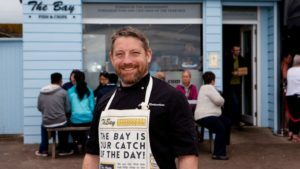 As a significant component of their nomination, ‘Nutritionist Choice’ comprises over one third of main meals available to chefs offshore and aims to promote meals that are lower in fat, saturated fat, sugar and salt. Senior ESS nutritionist, Leanne King (pictured second from right), said: ‘In combining health and well-being with local ingredients, we aim to educate our customers on healthier practices. We have worked very hard this past year, so this award was a huge achievement for the team and something we are extremely proud of. One of the most eagerly awaited cooking competitions in the world, the Culinary World Cup saw 75 different nations congregate in Luxembourg last November. 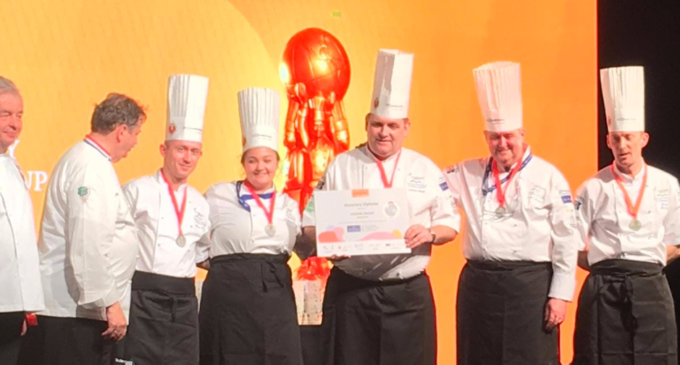 Led by Scotland’s culinary director, Graham Singer (pictured left, holding certificate), the team celebrated a spectacular fifth place overall, winning a silver medal for their regional team entry in the Culinary Art & Pastry category. Comprising Graham Singer himself, plus Barry Fleming, Jim Mullen, Kayleigh Turner, Kevin Rocks and supported by Robert Flannigan, Andrew Pirie, Bill Clark, David Auchie and Nathan Clarke, the team enjoyed exceptional success. A special mention should go to chef manager Chris Macleod, who won silver for his entry in the Culinary Arts individual category for Finger Food Hot & Cold. Meanwhile, his epic five-course fine dining gastronomic menu was ranked ninth overall. 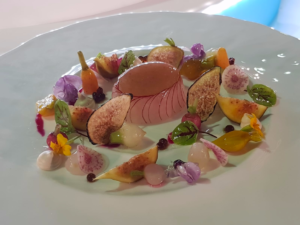 November 2018 saw the inaugural Eurest Chefs of the Year competition, which boasted a Glasgow-based site as one of the six teams which made it through to the final, where each team was given 1.5 hours to cook two courses. 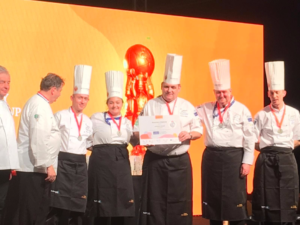 The Glasgow team just missed out on the top prize but nevertheless did Scotland proud, displaying their skills and professionalism to the rest of the UK and I for one am sure we’ll see them competing again in Eurest Chefs of the Year 2019. Order of Distinction at ROSPA Awards in Glasgow. Health and safety is crucial in our sector, so we were delighted when our ESS Offshore colleagues were awarded the Order of Distinction at the ROSPA Awards in Glasgow last September, in recognition of 16 consecutive years winning the ROSPA Gold Award. The Bay Fish & Chips – Working closely with The Bay’s owner Calum Richardson (pictured left) to deliver his much-heralded premium batter offshore, ESS supplies over 3,000 people across the on- and offshore sectors. We’re also particularly proud to have his newly developed line, the Bay Smoked Haddock Fishcake, an exclusive line to ESS. Mackintosh of Glendaveny – Keen to introduce a product that would enhance our food offering as well as supporting our award-winning health and well-being programme, in 2018 we launched the full range of Mackintosh infused oils across our units. Meanwhile, our Levy team at the Scottish Event Campus (SEC) also celebrated a year of opportunities and mobilisations. 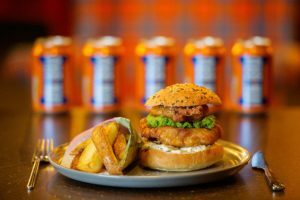 Last year the team partnered with AG Barr to create a ‘Made in Scotland’ dining experience for comedian Kevin Bridges’ 19-night sell-out run. Serving over 1,700 covers, the initiative achieved a significant buzz on social media and demonstrated how themed events can capture the imagination. Client relationships are essential to success and growth, providing the opportunity for expansion and innovation. 2018 drew a lot of focus to cementing long-term relationships with existing clients, which has equated to an incredible 97% retention rate over the past 12 months in the region as well as winning a number of contracts throughout Scotland and the North of England. Alan McDonald, Senior Regional Manager, Compass Group UK & Ireland has been a driving force behind this success. This has been achieved through a combination of effective recruitment, training and development of our people and investment in technology, as well as providing clients with an innovative food offering following our menu re-development. From working with our partners in Scotland and developing our latest food offer to renewing our sponsorship of the Culinary Championships at ScotHot this March, 2019 looks like it also has plenty to offer. I would like to thank all our colleagues for their ongoing hard work and commitment. The future is exciting, disruptive and full of opportunity and we are committed to constantly raising our game in every way and always improving what we do – day in, day out. 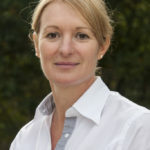 Morag Freathy is Managing Director of Eurest, Compass Group UK & Ireland. With a history spanning seven decades, Compass in Scotland employs more than 5,000 people across hundreds of sites in education, B&I, sport, leisure, hospitality and offshore.